There are plenty of interesting Virgin Games bonuses. You can start earning extra cash right from the start and keep getting more benefits if you play regularly. However, knowing the important details about each offer is a must if you want to get the best value possible. This article will help you by providing all the information you need about the promotions at Virgin Games. What Are The Available Virgin Games Bonuses? Once you decide to register with Virgin Games, you can claim the Virgin Games welcome offer. Their offers can usually provide you with a solid boost to your casino bankroll. You get 30 free spins for the Double Bubble game if you meet certain qualifying criteria. Deposit and wagering required. T&Cs apply. Virgin Games will reward you if your friends start playing real money games. You can earn up to £20 for each player that covers the requirements of this promotion. 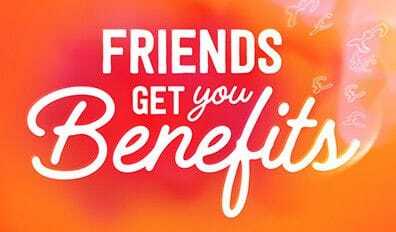 You can refer up to 15 friends to Virgin Games. Your friend won’t be able to use Paysafecard as a payment option. Find out more about this operator on our Virgin Games review. Make sure you use the Virgin Games promo code for the latest bonuses.